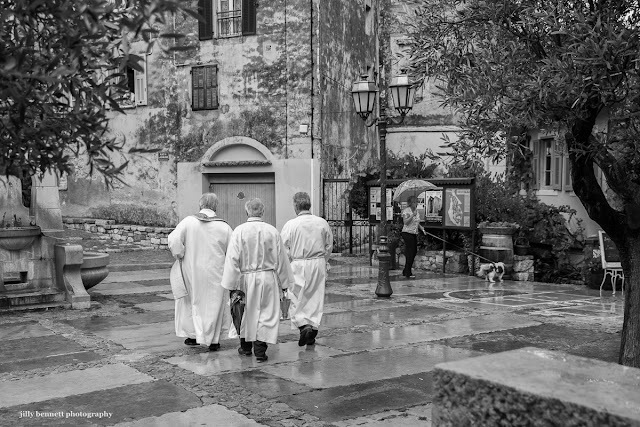 The priest and the white penitents cross Gorbio's main square. Le prêtre et les pénitents blancs traversent la place principale de Gorbio. It certainly does look like a damp day. They dress much the same for services as Catholic clergy do here.